Viacom International Media Networks (VIMN) Asia announced further regional distribution of its brands in Malaysia and the Philippines. Comedy Central Asia has launched in Malaysia as part of ASTRO’s B.yond IPTV and also in the Philippines on SKYcable and Cignal Digital TV. June will see further expansion of Comedy Central Asia’s distribution in the Philippines with a launch on Cablelink and Viva Communications, Inc. commencing as the network’s provincial distributor. MALAYSIA/PHILIPPINES, 27 May 2013 – Viacom International Media Networks (VIMN) Asia, a division of Viacom Inc. (NASDAQ: VIA, VIAB) today announced further regional distribution of its brands with Comedy Central Asia leading the charge in Malaysia and the Philippines. Comedy Central Asia has launched in Malaysia as part of ASTRO’s B.yond IPTV with Maxis Home Fibre Internet package, and also in the Philippines on SKYcable and Cignal Digital TV. June will see further expansion of Comedy Central Asia’s distribution in the Philippines with a launch on Cablelink and Viva Communications, Inc. commencing as the network’s provincial distributor. SKYcable, which recently added Nick Jr., adds MTV Live to its suite of channels, and Cablelink adds both MTV Live and Nick Jr. to their channel line-up in June. 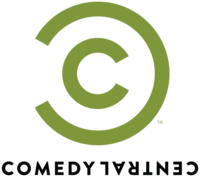 In January, Comedy Central Asia became available to Thailand’s Me Television (MeTV) subscribers on MeTV’s Total Choice Extra Group. In February, the launch of MTV Southeast Asia, Nickelodeon Southeast Asia, Nick Jr., and Comedy Central Asia on SingTel mio TV’s subscription TV service. And with that announcement, Comedy Central will become the first English entertainment channel brand that will be across all three subscription TV platforms in Singapore – SingTel mio, StarHub and MediaCorp Toggle. Comedy Central Asia will become available on Mediacorp Toggle in July. In March, a three-year local licensing agreement was renewed for Nickelodeon’s branded block package with one of MNC Media’s subsidiaries, a free-to-air Indonesia broadcaster, PT Global Informasi Bermutu, popularly known as Global TV. In April, an exclusive licensing agreement with AppleTool Co. Ltd, a local general entertainment content provider and subsidiary of VR1 Media group to bring back MTV Thailand on May 1st. This was quickly followed by an announcement of a strategic alliance with MCOT Public Company Limited and appleTool to collaborate on production, licensing, distribution and live events for MTV Thailand, including a licensing agreement with VR1 Media Group to offer a Nickelodeon branded block on MCOT’s Modernine that will launch on June 22nd. Encompassing a wide variety of comedy-genres talk-show and stand-up comedy, animation, live-action sitcom, sketch-comedy, physical and gag that is designed specifically for Asian viewers, Comedy Central Asia will feature both original and acquired content including Emmy® and Peabody® award-winning content, such as The Daily Show with Jon Stewart, Comedy Central’s global hit series South Park, Comedy Central Roast, Comedy Central Presents, Tosh.0 and John Oliver’s New York Stand Up Show, the Asia Pay-TV premiere of such titles such as Anger Management, Happily Divorced, The Exes, Nick Kroll: Thank you Very Cool, as well as classic titles Mind Your Language, Ellen and Absolutely Fabulous. MTV Live programming line-up consists of music-based programming that is original, acquired and from the vast MTV library, such as music festivals, live performances, music documentaries and original productions. First launched in 2008, MTV Live is now available in 36 countries, reaching more than 8 million households worldwide. The channel library boasts over 1,000 hours of native HD content including key shows MTV World Stage, Isle of MTV, Rock am Ring, Live Vibrations, MTV EMA and many more.